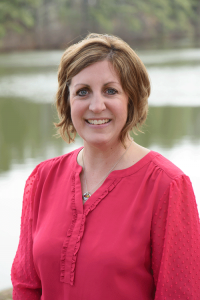 Ann Marie has been a Registered Dietitian working with pediatrics since 2002 when she began working at Cincinnati Children’s Hospital Medical Center (CCHMC) in the Division of Adolescent Medicine. While at CCHMC she found her niche and became a member of the Eating Disorder Team and worked in both inpatient and outpatient eating disorder care. During this time she obtained a Master’s of Science in Nutrition degree from the University of Cincinnati and earned a certificate of Training in Child and Adolescent Weight Management thru the Commission on Dietetic Registration. Ann Marie worked at CCHMC until 2016 when she moved to Raleigh and joined Healthy Diets. She works with both children and adults in the areas of disordered eating and weight management and is very passionate about helping clients achieve their health and wellness goals. She is a member of the local International Association of Eating Disorder Professionals (IAEDP) chapter. Ann Marie believes in strongly in patient centered care and works diligently with her client’s healthcare team to ensure comprehensive care. Ann Marie is originally from Perrysburg, Ohio and will always be a Buckeye at heart. However, she enjoys her new home in Raleigh and loves the year-round warmer weather and sunshine! Ann Marie and her husband, Jeff, have two children, daughter Clara Rose and son Ryan. She enjoys time with family and friends, being involved in church, and spending time outside with the kids.